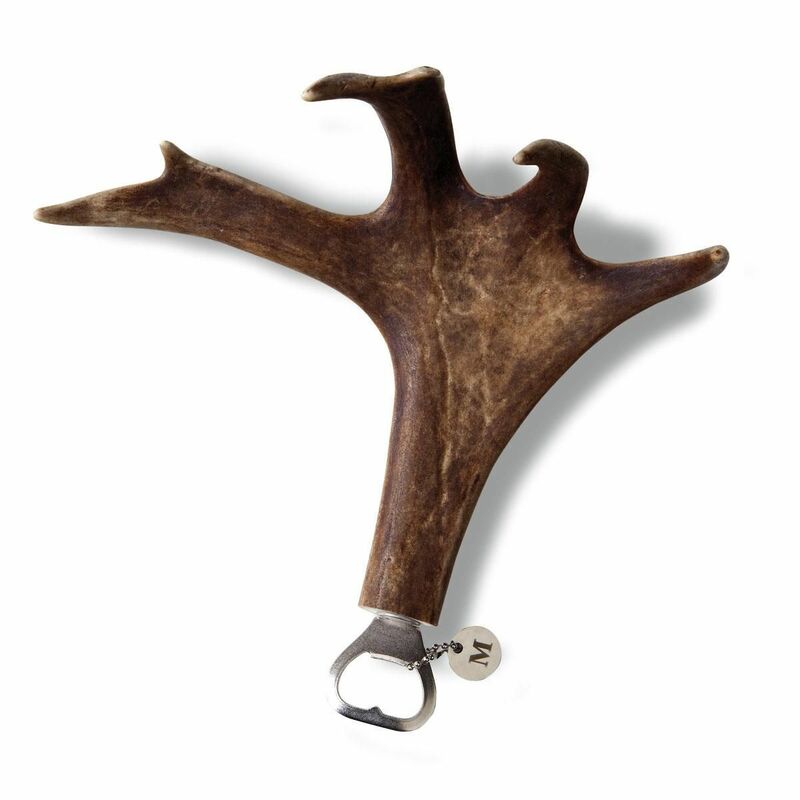 Made with a naturally shed reindeer antler, this stainless steel bottle opener comes with a monogrammed disc charm and makes a unique gift for the avid outdoorsman. Approximately 8 1/2 x 9" (natural variations will occur). Specify initial for metal disc.